Choosing Bespoke was by far the easiest we made for the whole wedding! 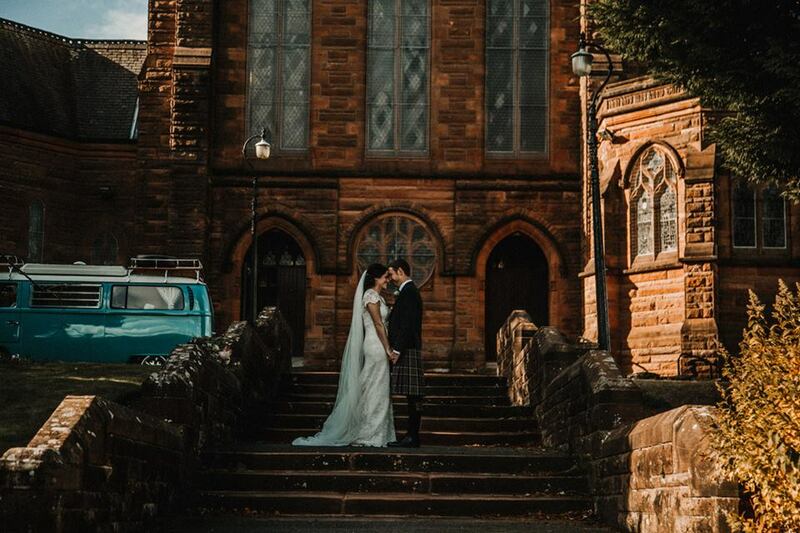 We knew we wanted something a bit different from the usual wedding meal, and as soon as we spoke to Kelly (a local to Gartmore where our shindig would occur) we knew instantly we’d found the right caterers. Nothing was too much trouble and the sheer variety of their menu options was incredible. We visioned a more informal dinner experience for our guests to complement the feel of the day. We opted for a hog roast meal with a sharing starter and trio of desserts. Our guests were salivating from start to finish, with many enquiring how and where we had found such a unique caterer. Our event manager on the day Kirsty was absolutely fantastic. She met with us a couple of weeks before the day to talk through any last minute questions, which really put our minds at ease, and we knew that we were in good hands. We included a few Bespoke additions to the bar, including wheelbarrows of beer and the whisky ladder, which were an absolute hit with our guests. A large number of guests were from the Hebrides so we knew that having a well stocked bar would be essential. Kirsty and the team were amazing at keeping up (even if we managed to drink the bar dry of whisky by 10pm!). It makes such a difference having staff who are genuinely enjoying themselves, engaging with the guests, and making sure everything is taken care of. Having run out of superlatives to describe our experience, we can’t recommend Bespoke enough for their professional and friendly manner. The team on the day excelled themselves and we are truly grateful to them for creating such wonderful memories.